My name is rick,i own a 2004 z06 and figured i could learn a lot here. Nice to meet you all. Welcome to the Forum, Ricki! Glad to have you aboard. Show pics of your ride when you get a chance. Hope you can see it? Nice to meet you. Thanks its all stock with 22,000 miles.i am trying to figure out what brand of tires to put on it. Springs.its not expensive to do. 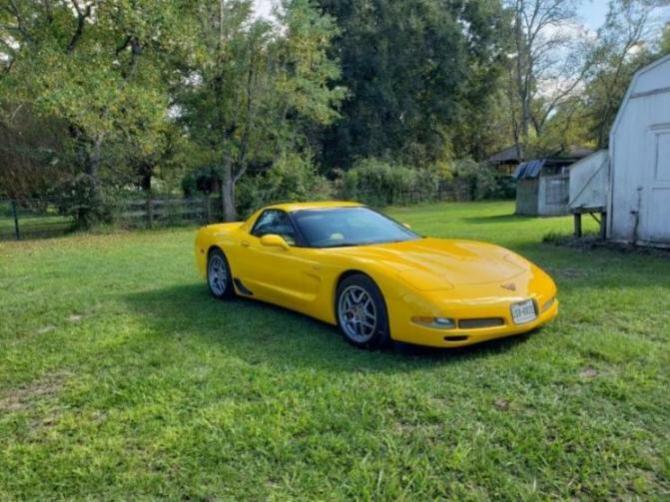 If any one here needs any factory info on there 2004 z06 i have the factory shop manuals and transmission manual and parts book to look up OEM chevy parts.i plan on keeping my z06 for a long time i even purchased a Tech 2 factory scanner for it.i am a A.S.E. certified automotive painter as well for 30 years. I've owned it since 2015,it has 24000 miles and it's blk/blk/mod red.Knock on wood no problems yet.I plan on installing a lmc5 module to fix the steering lock problem.I picked up the kit on eBay.I also plan on installing new valve springs this spring,even though they claim that Gm solved the issue by the middle of the 2003 model year.I also installed a Elite Engineering catch can,and would highly recommend it.It keeps your intake clean of oil.I also installed a Vararam VR-B2 cold air intake. Last edited by Hotrodron; 02-17-2019 at 04:31 AM. I have yet to put a catch can on my car.been looking into that and looking at new tires. It would be hard to think if they are the yellow ones that used bad metal would still be unbroken since mid 2003 and 2002 model years.